El Dia De Los Muertos is a day that is celebrated across many different countries as a way to remember and honor loved ones that have passed away. 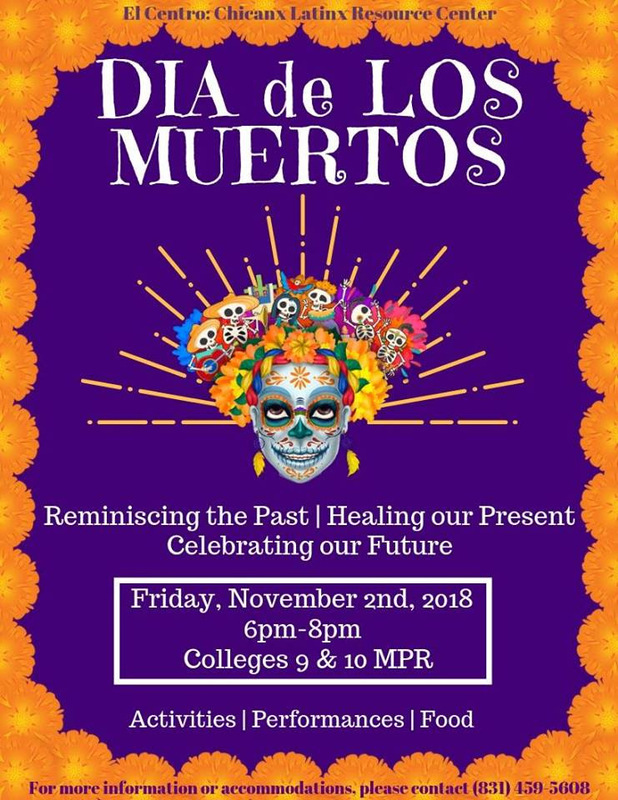 Come and learn about what Dia De Los Muertos is and why it is important to our communities! This event will be filled with activities, performances, tamales, pan dulce, champurrado and more! We will also have an altar to share our ofrendas and honor our friends, family and members of our community that have left our side.